Perhaps the most naturally gifted rider of his generation, Laurent Fignon burst onto the Grand Tour scene by winning the Tour de France aged just 22. France, still enthralled by his then team leader Hinault, foresaw a processional handing on of the baton; even more so when Fignon decimated the field in 1984 and staked such a claim to the throne that had already prompted Hinault to move elsewhere. 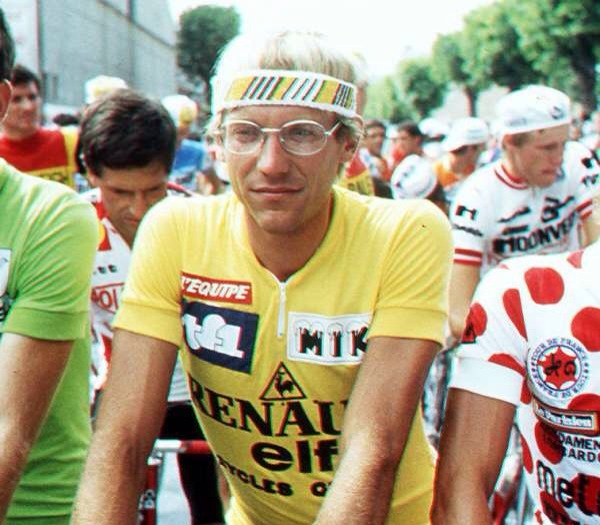 Injury and bad luck blighted the bespectacled Parisian’s next few seasons and he never won ‘le grand boucle’ again. Indeed in many ways he is more famous for his 8 second loss to Lemond in 1989 than for his emphatic earlier triumphs. One of my all-time favourite riders, his loss to cancer aged just fifty – after he had carved out second and third careers running (and saving) some of the less popular French races and in commentary – was a huge loss. This entry was posted in Birthdays and tagged birthday, Cycling, fignon, Happy, pro, procycling, Tour de France. Bookmark the permalink.